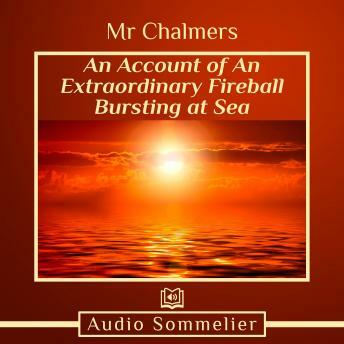 An Account of An Extraordinary Fireball Bursting at Sea is a short, first hand account of a phenomenal event that occured in 1749. Aboard his ship Montague, he witnessed a blue fireball on the Mediterranean Sea. Some believe it to be a first hand account of a UFO.